The Cinque Terre fishing village of Riomaggiore prepares for the night as the lghts begin to turn on and the sun sets in the west. This little harbor is one of my favorite places, and the locals are friendly and welcoming in the off-season. 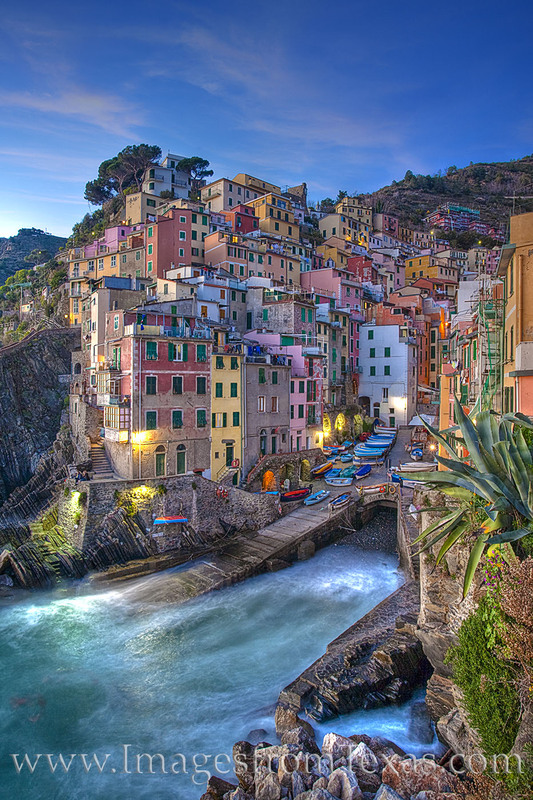 Riomaggiore sits on the west coast of Italy, and the blue waters of the Ligurian Sea lap at its rocky ledges.